According to a new report Asia Pacific Virtualized Evolved Packet Core (vEPC) Market, published by KBV research, the Asia Pacific Virtualized Evolved Packet Core (vEPC) Market Size would witness market growth of 49.3% CAGR during the forecast period (2017 - 2023). The LTE, VOLTE, & VoWiFi market holds the largest market share in Asia Pacific Virtualized Evolved Packet Core Market by Use Cases in 2016, and would continue to be a dominant market till 2023. The IoT & M2M market is expected to witness a CAGR of 51.3% during (2017 - 2023). Additionally, The MPN & MVNO market is expected to witness a CAGR of 52% during (2017 - 2023). The China market holds the largest market share in Asia Pacific Enterprises Virtualized Evolved Packet Core Market by Country in 2016, and would continue to be a dominant market till 2023; growing at a CAGR of 51.8 % during the forecast period. 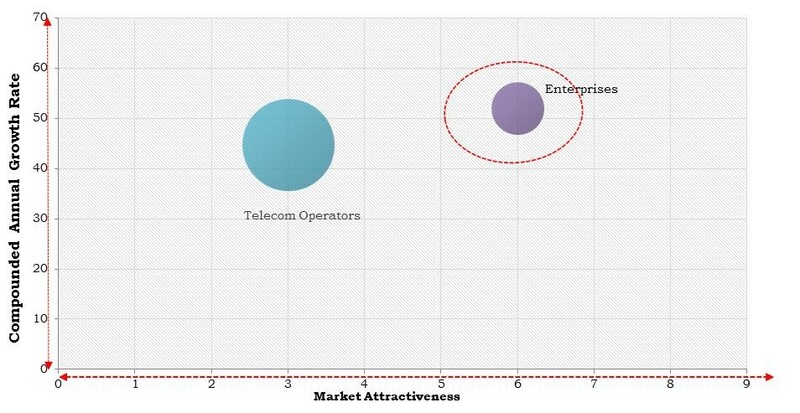 The Japan market is expected to witness a CAGR of 45.0% during (2017 - 2023) in Asia Pacific Telecom Operators Virtualized Evolved Packet Core Market. Additionally, The India market is expected to witness a CAGR of 49.6% during (2017 - 2023). The Mobility Management Entity market holds the largest market share in Malaysia Virtualized Evolved Packet Core Market by Solution Type in 2016, and would continue to be a dominant market till 2023. The Serving Gateway market is expected to witness a CAGR of 50.4% during (2017 - 2023). Additionally, The Policy & Charging Rules Function market would attain market value of $8.6 million by 2023. The market research report has exhaustive quantitative insights providing a clear picture of the market potential in various segments across the countries in the region. The key impacting factors of the Asia Pacific Virtualized Evolved Packet Core (vEPC) Market have been discussed in the report with the competitive analysis and elaborated company profiles of Affirmed Networks, Ericsson AB, Huawei Technologies Co., Ltd., ZTE Corporation, NEC Corporation, Nokia Corporation, Cisco Systems, Inc., Samsung Electronics Co., Ltd., Mavenir Systems, and Athonet.